Angkor Wat is one of the most impressive historical sites around the world, on par with Chichen Itza, the Taj Mahal, and the Great Pyramids of Egypt. In the 12th century, Angkor Wat was the capital of the Khmer Empire, and most historians date the massive temple complex’s construction to around the same time period. **If you’re interested though, Graham Hancock makes an excellent argument for an earlier date of 10,500 b.c construction (see video below). In Khmer language, Angkor Wat literally translates to city of temples, and when you consider the 162.2 hectare size of the complex, it’s easy to see why the massive site is considered an entire city. With so many ruin sites spread out over such a vast area, and so many of us traveling on time and budget constraints, having a strategy to explore the amazing temples at Angkor Wat is a must to get the most out of your visit. In this article we’ll provide a cost breakdown for visiting Angkor Wat, some helpful advice, and a must-see temple list for those unfortunate travelers who have to pick and choose which areas to see. Let’s get to it, Angkor’s away! Cambodia uses both the USD and the Cambodian Riel. The whole time we were in Cambodia we never had any trouble with anyone wanting a specific currency, although it can be more convenient to use the USD due to the large numbers that can happen with the inflated Riel. **An easy way to remember the exchange is 4,000 Riel = $1 USD. The admission pass is as official as it gets~ They take a picture of you, and check your pass at every temple site. Tuk Tuk Cost: around $30-35 for a full day. **I highly recommend Mr. Soeun. He is an extremely nice, and well-mannered tuk-tuk driver who is very prompt, and he provides free bottles of water, and icy face towels during your trip. 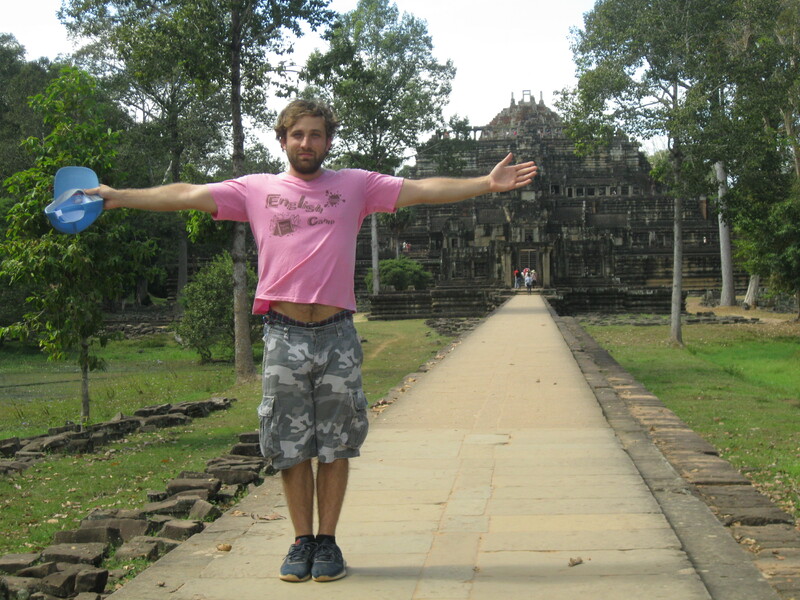 He is also very knowledgeable in the history of Angkor Wat, Siem Reap, and all of Cambodian history. We paid him $65 USD for three full days rental. Angkor Wat Cycle Rental: $1-5 dollars (depending on guest house or on-site). *Official Angkor Wat Tour Guide: $25-30 a day. 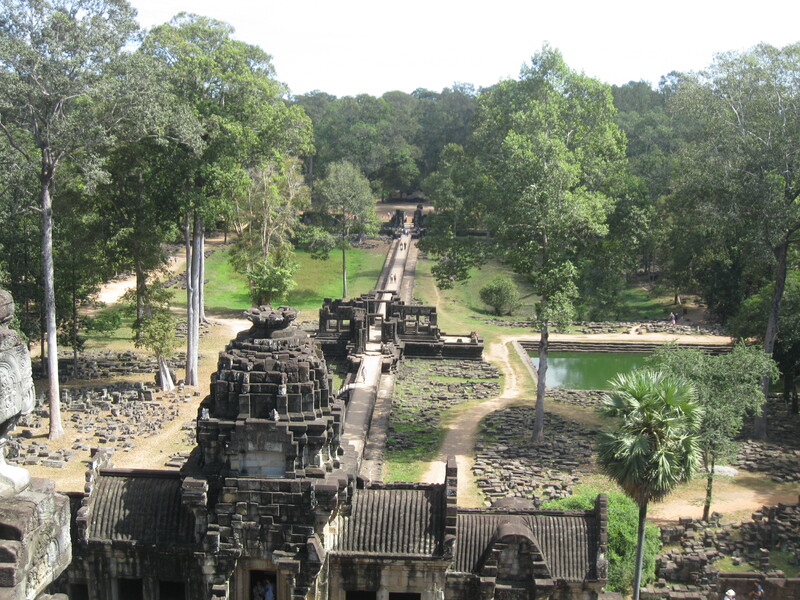 *There are many Cambodian people inside Angkor Wat who will give you a tour of the complex for 8-10 dollars. Be warned though, often times these people have no official credentials, and have just read a travel book and gotten advice from other guides. These guys aren’t necessarily scammers, but you probably won’t get the best or most accurate tour from one of these off-brand guides. *I suggest setting up a tour guide through your hotel, or if you look for a guide on site at Angkor Wat, to make sure they are wearing a necklace ID badge. Only bring enough money for drinks and food if you do not want to buy any souvenirs.There are people selling souvenirs and knick knacks everywhere you go, and they are excellent salesman. If you don’t have any money on you, it makes saying no to an awesome hand painted Angkor Wat postcard a lot easier. Ok, a hand-painted postcard… or an awesome handmade Cambodian instrument. Busted! 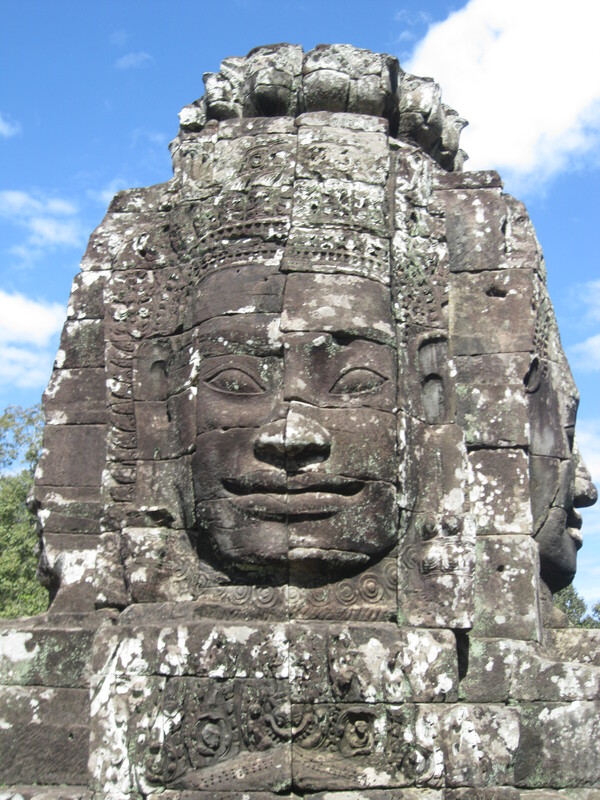 If you don’t want to fork out the money to buy a guide, then buy an Angkor Wat travel book! If you don’t mind reading while exploring, a travel book will save you a lot of money, and will allow you to travel at your own pace. Don’t let the sun take the fun from your trip. Cambodia is scorching hot! Make sure you drink plenty of water, coconut juice, and eat some fresh pineapple to stay on your toes. If you have younger children, I highly recommend using a tuk tuk service as opposed to a cycle. The distance between the temples can be daunting for short legs. If you want to see the sunrise at Angkor Wat make sure you check the weather the day before. I have heard many a frustrating story of people waking up at 4:30 am to beat the crowd to Angkor Wat, only to have huge clouds block their perfect picture. If you want to see the Angkor Wat sunrise, be aware that many other people want the same thing, and it can be a challenge to get a picture without any other tourists in it. And once again, please remember to check the weather, as sometimes the sky may not comply. If you have the time, then you should try to see every temple at Angkor Wat. But as life as has it, many of us have time constraints, and some of us are worn out after the fifth temple site. Well if the above is your case, then refer to the list below for the must see Angkor Wat temple list. 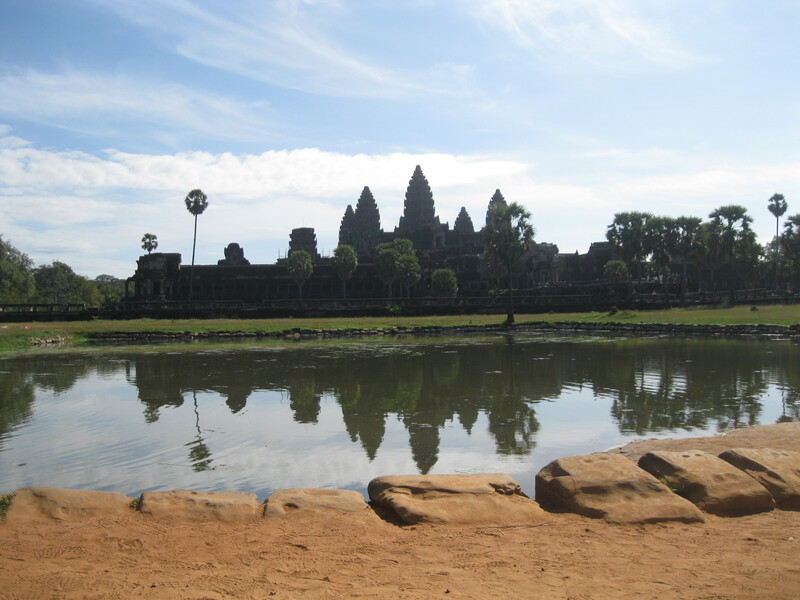 Do yourself a favor, and do not leave Angkor Wat without seeing these ruin sites. The postcard temple everyone knows. The actual Angkor Wat temple is every bit as impressive as all the travel guides make it out to be. Sure it can be a bit crowded, but this is one you cannot miss. Probably the second most well-known temple on site, Bayon is an ornate structure known for the stone columns there that were carved into placid smiling Buddha faces. Allow me to apologize for the onslaught of pictures, but Baphuon was my favorite site at Angkor Wat, and I just couldn’t help myself. Although the ruins have certainly been weathered down over years, the site is a marvel to behold. The views from the top of the structure are stunning, but my favorite thing about this site is the giant reclining Buddha hiding on the backside of the temple. 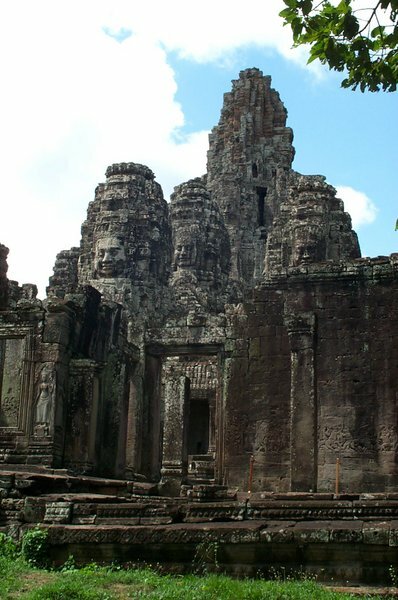 It’s almost as if the Buddha is hiding in the ruins… but if you look hard enough you can see it. Ta Prohm is famous for being one of the sets of the film Tomb Raider. Ta Prohm is a must see because of the way the trees and vegetation have grown around and become a part of the actual temple structures. It’s a beautiful showcase of how history and civilization are overgrown and sucked back into nature. So now you’ve got the Angkor Wat cost breakdown, some sound advice, and the must see temple list. Look out for my coming post on different strategies for exploring Angkor Wat, so you can get the most out of your journey. And… if you’re interested in reading more about what to do in Cambodia, check out my posts on Phnom Penh, and Battambang. Please comment below if you have anything to say! The passes do not have to be used on consecutive days. 3 days within a week, 7 within one month. You’re right! Whoops, I think I originally misunderstood. 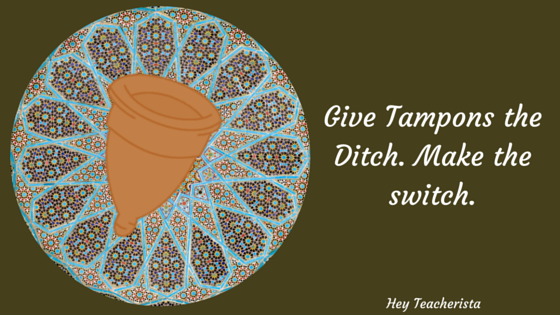 Thanks for pointing that out, and thanks for stopping by the blog.